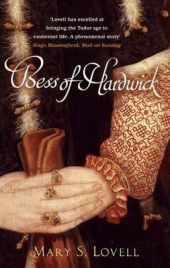 Bess of Hardwick: First Lady of Chatsworth, by Mary S Lovell, is a biography of a powerful female entrepreneur in Tudor times. Mary S Lovell was an accountant for many years before writing her first book at the age of 40. Biographies she has written include Straight on Till Morning about the aviatrix Beryl Markham, Cast No Shadow about the World War II spy Betty Pack, and the sisters who are The Mitford Girls. Her next book is due to be a family biography called The Churchills. I love relaxing in the Peak District, and as a result of spending many happy times in this part of the country I have heard a lot about Bess of Hardwick, through visiting property once owned by her, and wanted to find out more.